Oh Monday: what have you got for us this week?It's been a long time coming, since they began to plot and plan and book online, this one. It's Prague week! The (Not So) Small One (I'm going to have to stop calling her that: she's so completely grown up now, every time this morning that I've shouted up the stairs "Have you packed your...?" I've heard Yep! right back at me) and her friends are leaving in the morning for an adventure all of their own. They are all used to travelling, but this is their first go it alone trip and the excitement, as we say round here, is mighty. As she set off for another planning meeting on Saturday, she turned, bemused, and said, "So you are going to spend all afternoon, just you and Dad, again?" Then we found a charity shop. As soon as I walked in the door I spotted a brass bowl exactly like the one we've had in the family for years, from Nigeria, Granny has a collection. So I paid 32 for it and the man behind the counter started to talk and it turned out he used to be a silversmith and he told us all about how he thought it had been made and about he technique of repousse, which creates a design in the opposite way, in relief; and it was a pleasure to listen because he was enjoying himself too, so that we left the shop knowing more than we did when we went in on a whim. Plus, we had a bowl to take to Granny. So we packed up the brasso yesterday and took a trip. "But it's exactly like my bowl! she said. Have you brought a cloth? So that's what I learned this weekend. Did I try anything new? You know I like to share a local delicacy when I can (remember the Guinness flavoured crisps?). I have tried to try them. I just can't bring myself to open the bag. They might be amazing, all fried potato bread and bacon, but then again. I'll let you know. Sometime. How about you? Did you try anything for the fist time or learn something you didn't know before? Today could be a good day to make a memo. Remember it on Monday! And then give us a shout so that we can share, just as..
did last time. Go on, give 'em a wave! And have a good week. We have an almost identical bowl here (along with several other brass items from my mum's collection) Oh how I remember 'brass cleaning' day, those wads of brasso that turned your fingers black and greasy - you've woken a lot of memories for me today! Sounds like a fun time - there's always something to be learn from shopkeepers. And I'll be doing on search on a rotary dryer, as I have never heard of them. (Yep, totally spoiled over here with an electric dryer, whose carbon footprint I choose to ignore.) Our weekend was subdued except for a little Pokemon hunting and 2 hours and 3 minutes of the action-packed Jason Bourne movie. It was good, although I am a little miffed that so early in the movie they seem to enjoy . . . oops, that would have been a spoiler. Have a good week Sian. I can remember my mum using brasso, I'm too lazy I'm afraid. 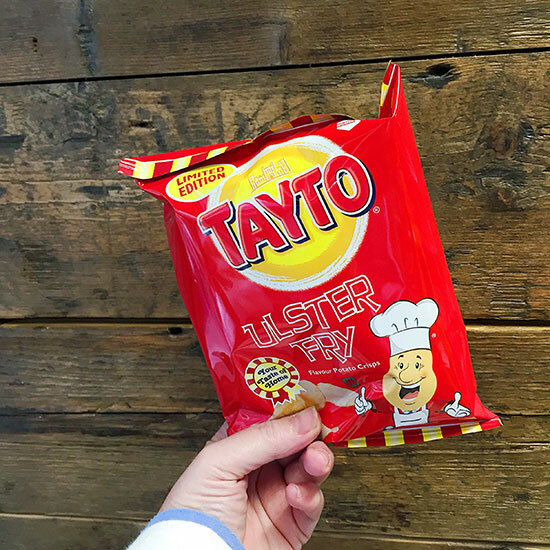 Sounds like a perfect weekend ... Ulster Fry? Somethings are just plain wrong. Oh, the (not-so) small one is definitely growing up . . . venturing out on her own with friends & everything! Sounds like a nice weekend! This weekend, I tried a new product (Dylusions Dyan Reaveley paint) in my Bible & it's a new favorite! 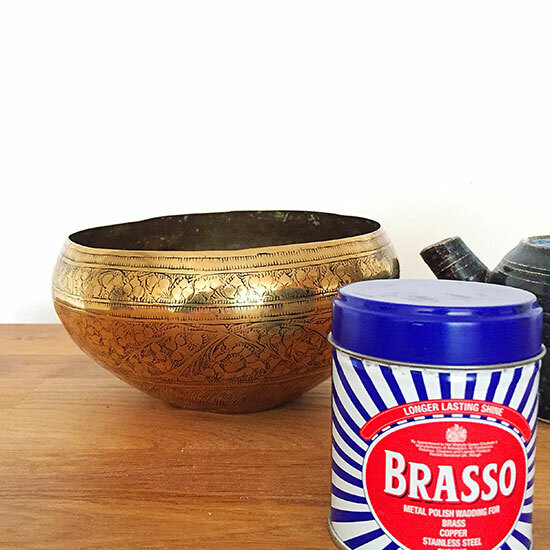 Brasso...it doesn't come out half as often as it should in this household! I hope your daughter has a great trip. Our girl is safely back home. We have seen the Prague photos, it looks lovely but we still have about 2 weeks of photos still to see! I was thinking of Maggie's daughter when I read your post. Prague is near the top of my bucket list, but there's no big trip planned in the near future. Your day sounds lovely; I'm always a fan of visiting little shops, and hope to get a bit of that in while we're on vacation this month. We call them whirly gigs too, I have a huge one which means I am continually having to trim the shrubs at the bottom of the garden otherwise it won't rotate. Fortunately we have no brass here, I'm not a fan of brasso there is something about even the thought of using it that sets my teeth on edge LOL!! Mr P use to love narrowboat holidays as there is usually plenty of brass on a boat to be polished. He misses his old signalboxes as there was always plenty of brass to polish in those - sadly in these modern sterile signalling centres everything is plastic and MDF. 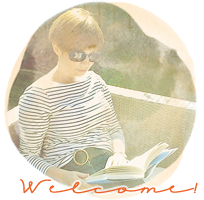 Have a great week and I have given you a little wave on my blog!! You brought back a fabulous memory of my own using brasso...we have it here. It's strong enough to knock your SOCKS off! love that you wandered to a second hand store...so much fun! Oh, your photo has brought back so many memories of my own - the strong Brasso smell, the feeling of the wadding between your fingers, Granny laying out the things for us to polish .... How exciting for TNSSO to be heading off through Europe on her own, and clearly very competently to boot. Hoping you all have a wonderful time. Pottering, putting your feet up, eating what and when you want - bliss! I'm reserving judgement on that packet though :). I'm so out of the loop with Blogland. When did you start Memorandum Monday? I love it! And will definitely try to play along... especially now that I have SUPERFAST INTERNET THAT DOESN'T DROP EVERY 5 MINUTES AND ACTUALLY OPENS PAGES! Yes it needed shouting, I'm so excited - it's like getting the internet for the first time again! Brasso - oh my, I can "see" my Gran polishing candlesticks. That is a beautiful brass bowl you found & maybe a new friend in future finds. Hope your daughter has a wonderful, fun, safe & wow expanding trip. Yarn store, thrift shop and a new dryer sounds like a great weekend! So great that you found that beautiful bowl for your mother's collection. I think most of us will remember the Brasso! Wishing your girl safe and happy travels. I would have given you a friend's number, who lives just outside Prague, had I not just returned from spending a couple of days with him in the UK, while he visits his family here!